Jeannette & Victor ~ Engaged! This beautiful couple started off their engagement session at Vista Hermosa Park. It has a beautiful view of Downtown Los Angeles. This was perfect for their engagement session but it's also an awesome place to visit if you want to relax on a bench or sit on the grass and look at the beautiful scenery. Afterwards we headed to the 4th Street Bridge near East Los Angeles. I loved the pop of color that the balloons Jeannette and Victor brought gave their photos. It was a nice contract to the urban look the background had. We can't wait to photograph their wedding next year! It's sure to be a lot of fun! Here are some of our favorite shots of the day. 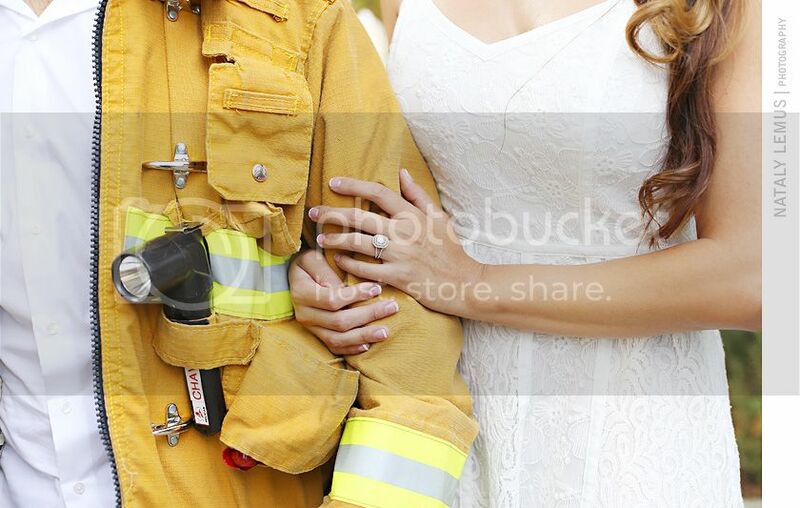 Jeannette wanted to make sure to incorporate Victor's uniform along with her ring so this ring shot was perfect! This text will be blue.